Gilded Christmas is an easy way to decorate your home with holiday cheer. 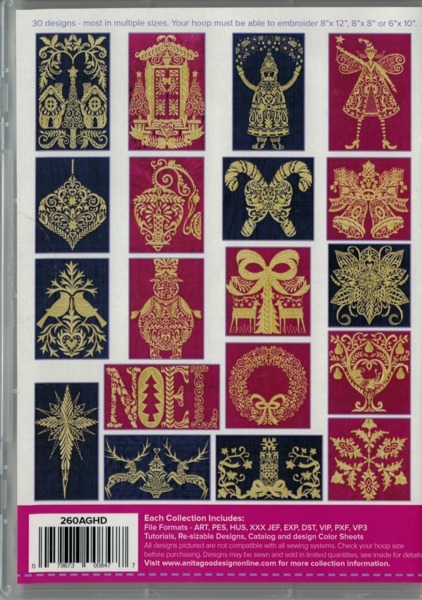 This collection contains 30 different intricate Christmas designs such as bells, reindeer, angels, St. Nick and more! You can add our Gilded Christmas designs to anything! One of the projects we created was a table runner. Since all of the designs come in up to three sizes, and there are a variety of designs, you can adapt them to any size project. 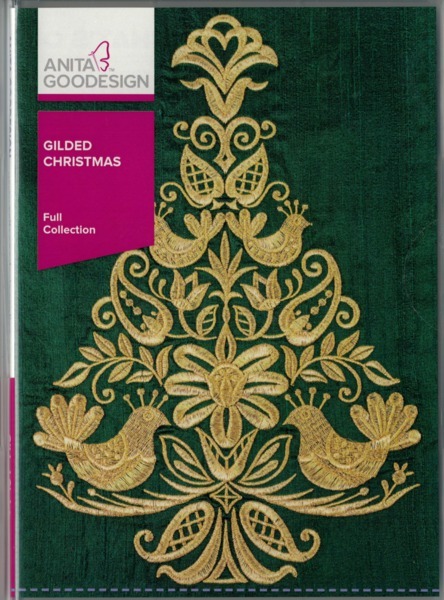 The fabric we chose for Gilded Christmas is dupioni silk in a few different colors and our thread is a metallic gold. These designs will look wonderful on anything you stitch them on and the best part is that they stitch very quickly since they are all created using only one color of thread, and they stitch without stops.